In recent years Gastroenterologist Dr. Peter Gibson of Monash University has published new information on the dietary management of Irritable Bowel Syndrome (IBS). His finding is that certain fermentable foods greatly exacerbate IBS symptoms – pain, bloating, constipation, diarrhea, etc. 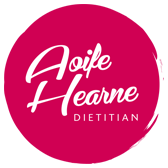 The diet his team has implemented with success is called FODMAPs which refers to Fermentable Oligo-, Di- and Mono-saccharides and Polyols. Other foods such as lactose and fructose can also cause symptoms of IBS. Current research demonstrates that 75% of people who suffer from IBS will have relief from symptoms by taking the low FODMAP approach when counselled by a FODMAP trained dietitian. All of our dietitians have completed FODMAP training at Kings College London. We have appointments available in our Waterford and Clonmel clinics to treat patients with IBS.